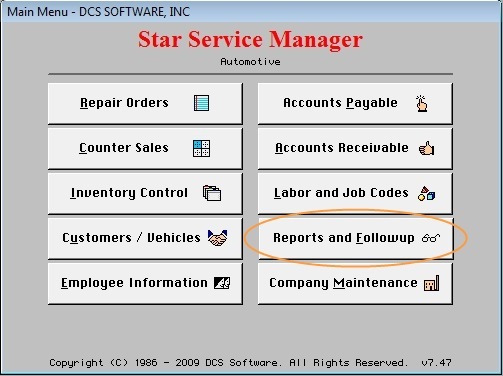 Reports & Followup - STAR comes with an assortment of tracking and follow up reports. Inventory, sales, tech, customer, and an assortment of followup reports can all be printed based upon customer, date range, tech, etc, etc. Always know what is going on in your business with the Reports & Followup module.